"You have seen how a man was made a slave; you shall see how a slave was made a man." 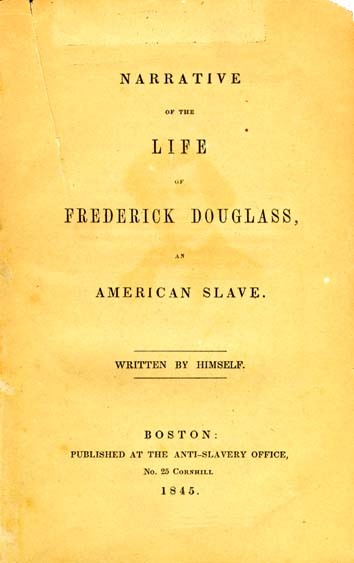 Both a memoir and abolitionist statement, Narrative of the Life of Frederick Douglass, an American Slave (1845) is considered one of the most important and influential writings of the abolitionist movement of the early 19th century in the United States. The book details the events of Douglass's life, documenting the cruel brutality and injustice of a slave's life as well as the immorality of slavery itself. it is studied by students in middle and high school. Visit American Literature's American History, African American Library, and Civil War Stories for other important historical documents and figures which helped shape America. Return to the Frederick Douglass library.